Manila, Philippines - Coca-Cola officially launched today, February 3, 2014 a multilingual advertisement which featured Tagalog and seven (7) other languages. It was first shown in the live telecast of NFL Super Bowl XLVIII in America. 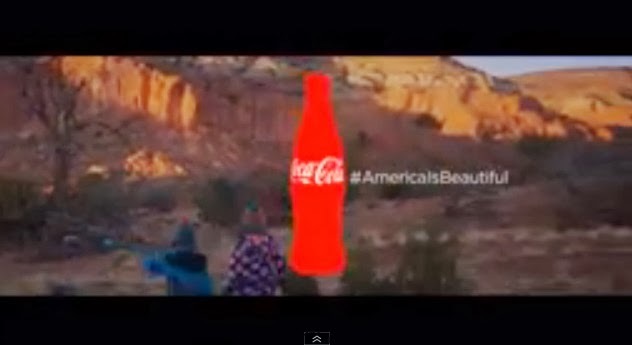 The Coca-Cola Super Bowl 2014 commercial entitled “It’s Beautiful” featured the song “America The Beautiful” sung in English, Tagalog, Senegalese-French, Hebrew, Mandarin, Keres, Arabic and Spanish. The 60-second ad highlighted the beauty and diverse culture of America. It points that America is the melting pot of the world and everyone loves America. The Tagalog feature of the song appears at 0:16s of the ad. Filipino-American Leilani sang the line, “Above the fruited plain” translated into "Sa ibabaw ng mga prutas" in Tagalog. “I think people will really feel good in themselves to know that America is there and to hear it in many other languages spoken, especially if one of the languages is a language that you speak, then it’ll really get deep inside of you,” Leilani said on a separate video. Several versions of 'America the Beautiful' was also released on Youtube. Meanwhile, the ad became controversial as it is the first SuperBowl commercial which featured a gay couple. It draw mixed reactions from netizens and those who watched the ad on television. What can you say on Coca-Cola's Super Bowl ad?